The roar of laughter is often heard inside Suzanne’s yoga classes. 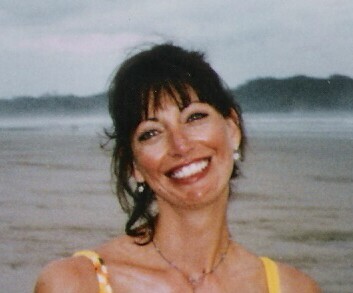 Suzanne works with her students on the qualities of joyfulness, peace, self-acceptance and love. Her styles of vinyasa flow and hatha yoga is sometimes challenging, but she doesn’t ask her students to do well, she asks that they be well. Suzanne is a senior yoga teacher with a 700 hr. yoga certification and has been teaching for twelve years. She has E-YRT-500, the highest accreditation from Yoga Alliance and has taught over 4,000 yoga classes. She teaches a beloved yoga teacher training program and yoga intensive, Yoga Awakenings. She teaches corporate yoga classes, privates and open classes at other locations throughout the Metro DC area. She is the author of the yoga book, Hasta Mudras for Health & Healing and the cookbook, Simple * Healthy * Comfort Food. She developed a unique Yoga for Your Dog program that focuses on the energetic connection between a dog and her person, which soothes the anxieties of both dogs and pet parents. Suzanne lives in Arlington, VA with her Whippet Olivia and rescue kitty Simone. Most people are searching for a better way to live. The American culture and lifestyle offers us both an abundance of opportunities as well as the challenge of cluttered minds, stressed bodies and overwhelmed spirits. It’s easy to fall into the addiction of being busy. The distractions keep us away from what is most important to us. It’s business as usual. Weeks, months, years fly by and yet we keep living for tomorrow – never fully experiencing today. I teach yoga’s simple, elegant, effective tools to help people find some space in their life. Yoga can truly help you find more time for the things that are important to you and help you live an authentic life. My classes, workshops and resources will help you reconnect with your body, tame your mind and let your spirit soar. These are practical solutions to help those who suffer from illness and pain, stress or a mind that won’t seem to quiet. It’s a passionate playground where awareness, inspired action and wellness skip hand-in-hand. Come and join me on the playground. You’ll laugh – I promise. I truly need to tame my mind (on a serious note) Does yoga help? Thanks for stopping by and liking my post. Have a wonderful week! You have a great website. I LOVE food too! Yes, yoga tames the mind, opens the heart and body. I just love it. I love yoga. Haven’t done it in a long time, but I loved it when I did. Could totally tell a difference. A consistent practice really makes such a big difference. Even with just 5 minutes a day – the body, mind and spirit soars.